Prince Guillaume and Princess Sibilla are currently on a visit to Turkey for a meeting of the European Organisation for Research and Treatment of Cancer (EORTC) Charitable Trust. The Grand Duke's brother is a member of the general assembly of the Charitable Trust which has the aim of raising funds for the activities of the EORTC, to support the structure of the organisation as well as independent academic research projects. 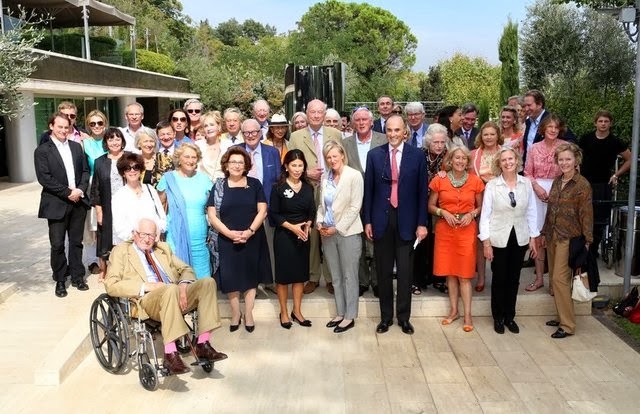 Other royals in attendance for the event were the prince's cousin Princess Astrid of Belgium, who is the honorary president of the EORTC Charitable Trust, and her husband Prince Lorenz. For a few more visuals, check out HT Kulüp.